I’m just grabbing 5 minutes to pop my head up to say ‘hi’ and that I’m still alive! Everything is good, I’ve just been really busy with work & life, and haven’t had time to blog. I’ve been trying to keep up with reading other blogs, though I may not always have time to comment – apologies! My main task this week has been pattern writing for classes starting back this week. It’s not my favourite part of what I do, but a very important part nonetheless. I’m pleased to report that my new Machine Sewing for Beginners Class got off to a great start on Monday evening. I have a lovely bunch of ‘eager beavers’ who have embraced their fear of the machine, and are now well on their way to becoming addicts like the rest of us! Next week – THE ROTARY CUTTER! (plasters at the ready!). 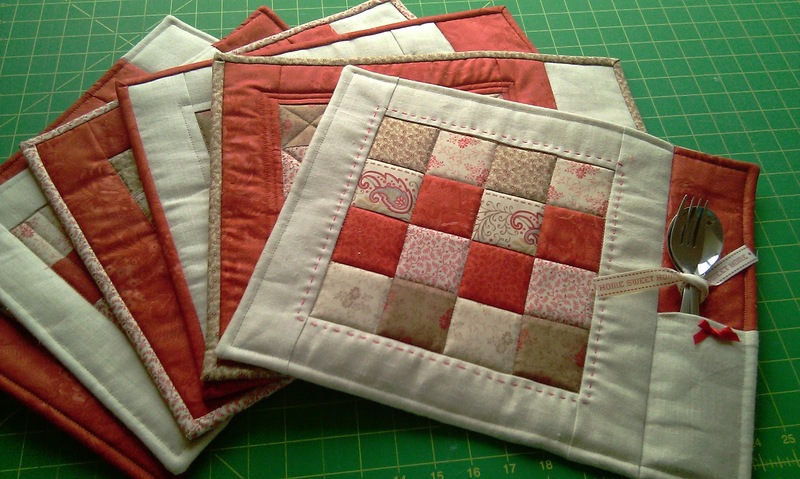 My Thursday class will be starting on the Placemats and Coasters project that I taught with another class last term. 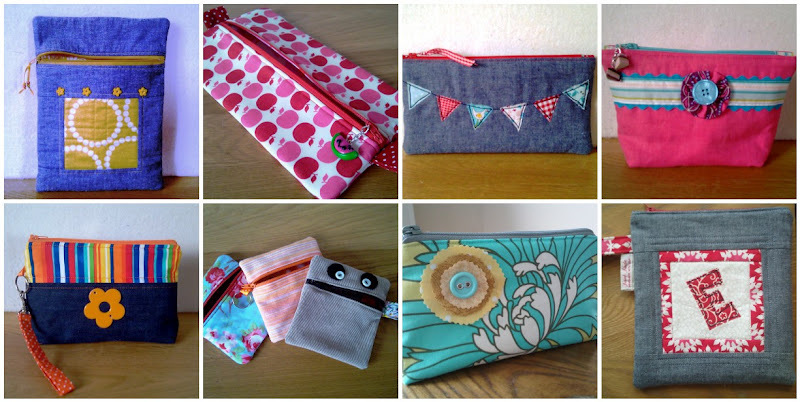 And my Friday class will be getting zippy with Pretty Little Pouches. I’m writing an 8-in-1 pattern for them, which I will also put in my Etsy shop (if I ever get to the end of it!). I’ve also been trying to develop a simple but stylish bag for a Kids’ workshop I’m running in July. Not as easy as you might think! So throw in 3 kids (feeding, disciplining, nagging – you get the idea! ), a husband (feeding, disciplining, nagging – you get the idea! ), a tour of Titantic Belfast with the rellies, and keeping a house from disappearing under 3 feet of dust, that’s pretty much been me this past week. So time to get back to it! Previous Previous post: Pick a Pouch! Next Next post: Strike The Pose!